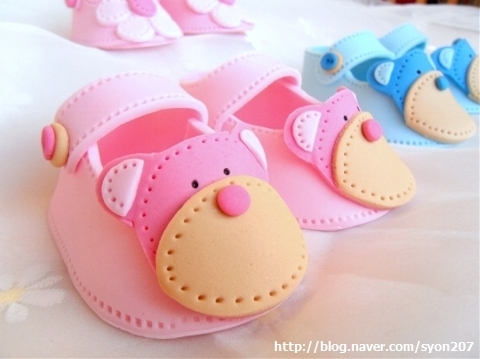 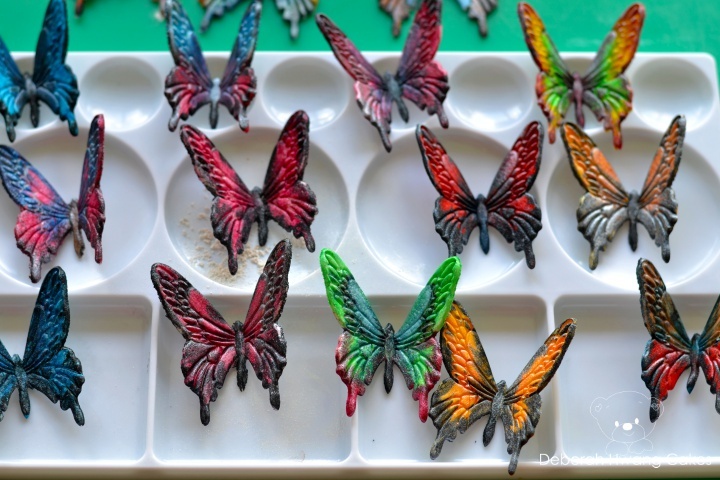 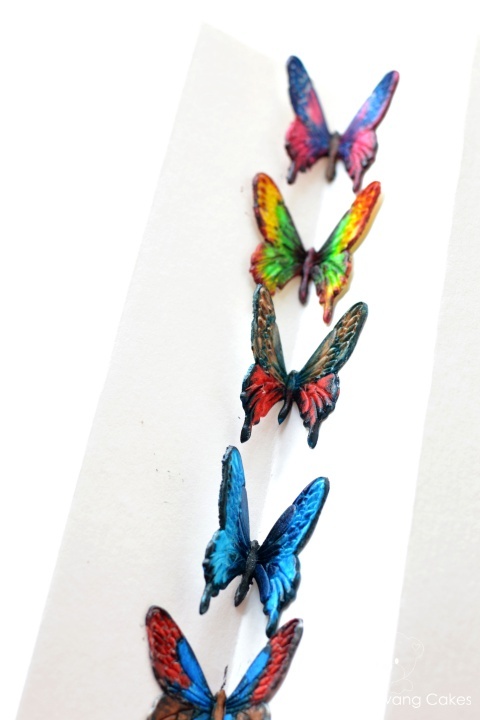 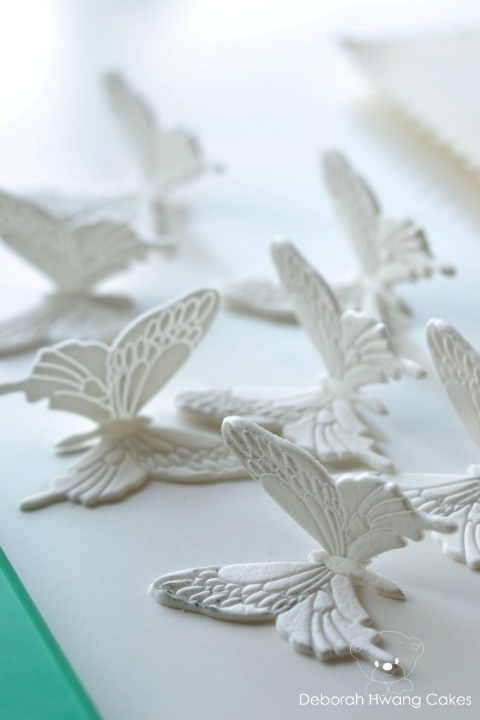 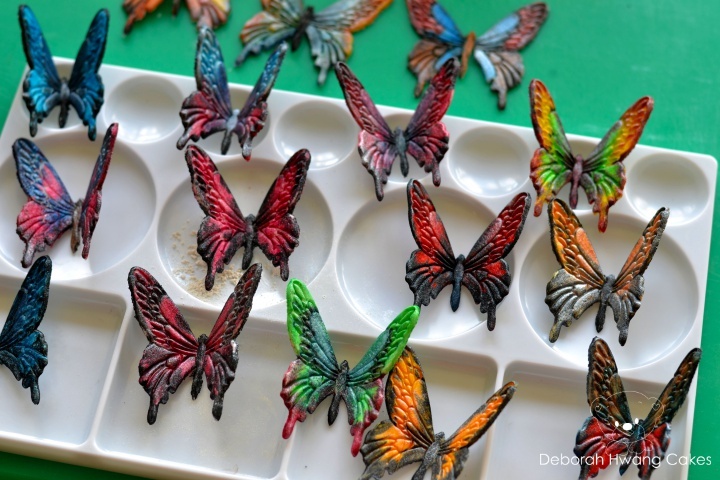 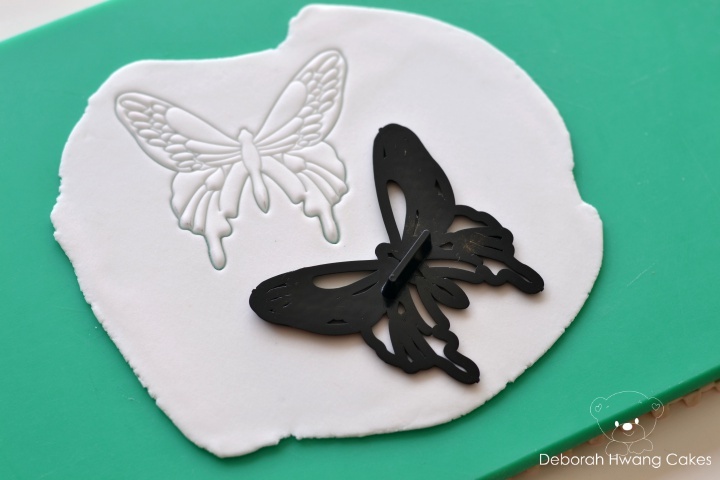 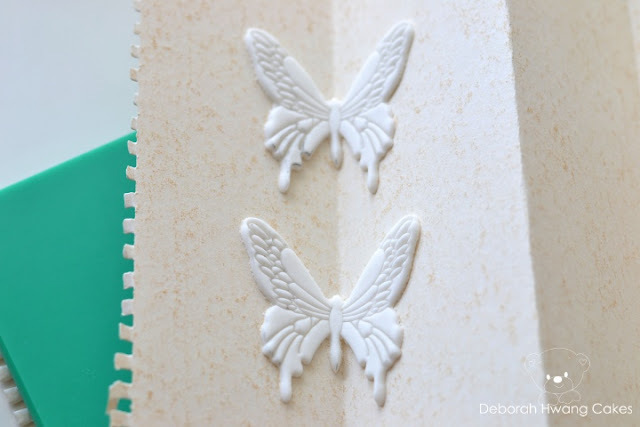 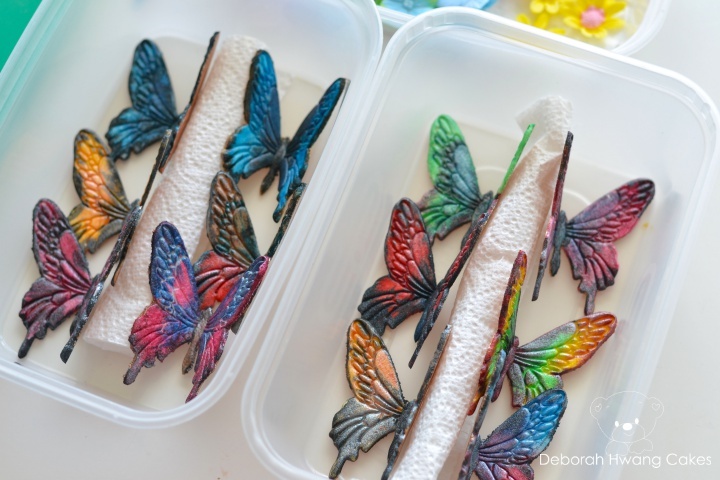 Make this butterflies few days before you use so they have time to set and dry. Roll out the white gumpaste thinly(1mm). 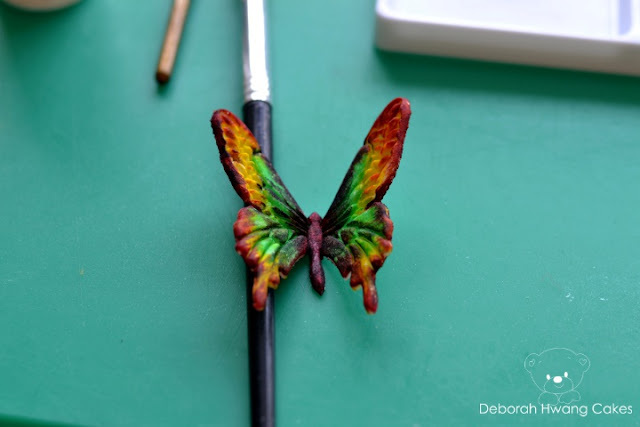 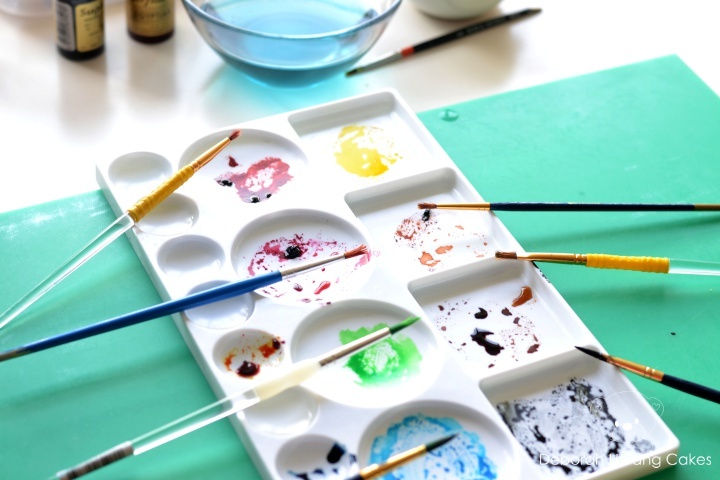 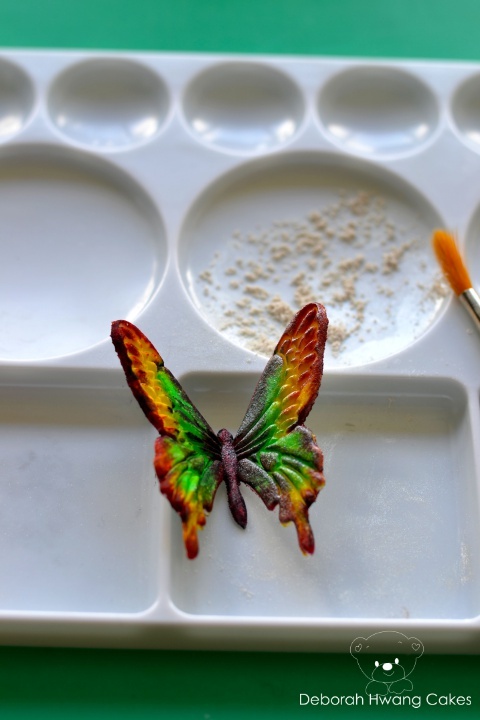 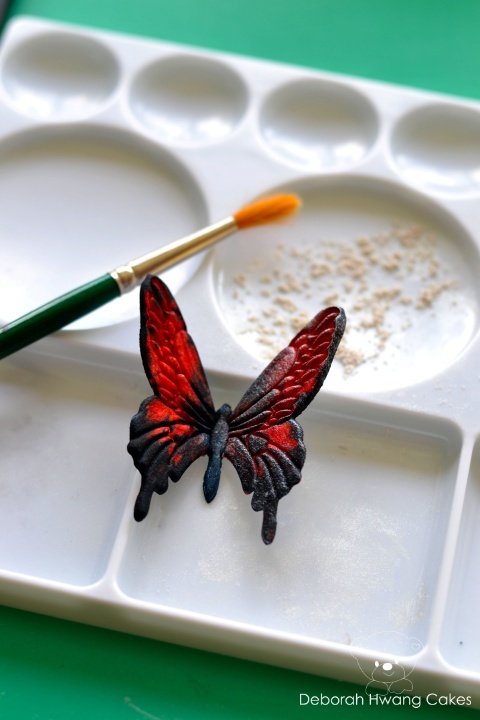 Painting butterfly with small brush.